The global e-commerce market is worth more than a trillion dollars. And with more than 20 percent growth in online business YoY, there has never been a better time to own an e-commerce business. But with more than 12 million online stores in the world, it is an extremely tough competition. With only around 110,000 e-stores generating meaningful revenue, the e-commerce market isn’t an easy place to be. Is your e-commerce business earning enough money? To break into the big leagues, you need these special tools to help your e-store make money and convert customers. Everything begins with an amazing store front. Setting up an e-commerce store can be the most challenging of all activities for the entrepreneur. But not anymore. With ShopIntegrator, you can set up a beautiful and feature-loaded online shop in a fraction of the time and without much effort. The best part? You can even convert your existing website, blog or social media account into an e-store! This platform has many exciting features like customized and attractive designs for stores, mobile-optimized layouts, and easy drag-and-drop functionality. ShopIntegrator is an easy-to-use, multichannel e-commerce sales platform which helps you sell globally, thanks to its seven storefront languages, multi-currency pricing and a choice of 12 third-party payment gateways for online payments. It also comes with the latest security configurations to keep your online store safe and secure. What’s more, it also comes with a free plan that gets you started in no time. Your online store is set up. Now you take to the best place to promote it – social media. So you set up accounts on various platforms. But after a while, you realize that it is a time-consuming process. This is where Hootsuite helps you. With HootSuite, you can manage all your social accounts in one place and schedule future posts for various accounts. Hootsuite comes with powerful analytics that gives you an in-depth view of how well your social media efforts are working. This helps you to plan and execute future campaigns. It also has high-level security features that keep all your accounts safe. With more than 10 million professionals using Hootsuite, it is must-have for e-commerce business owners. Google Analytics seamlessly integrates with all e-commerce platforms and offers comprehensive insight into user behavior. It also comes with an Enhanced E-commerce feature that helps online store owners acquire targeted information about their site visitors. Through the Enhanced E-commerce feature, you can understand your customer’s behavior before (and after) they make a purchase, you can understand why and how your customers are abandoning their carts, and you get some truly amazing insights into how your customers are interacting with products on your website. From small businesses to big brands, this tool is absolutely vital to understand customer behavior and convert them. 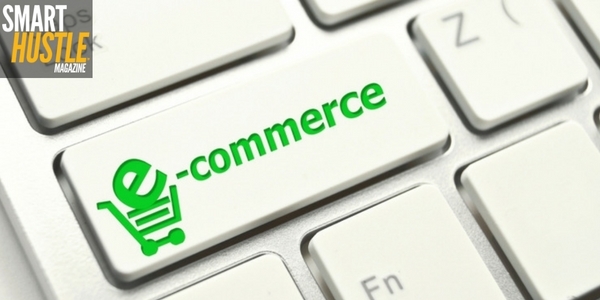 6 tools to help your #ecommerce store find #success. A payment gateway is an indispensable component for your online store. You would obviously want to partner with a trusted and secure payment partner. In this case, it would be worthwhile to consider Authorize.net. One of the oldest and trusted payment gateways, Authorize.net is a Visa company and has been providing service since 1996, to more than 4,00,000 merchants. Many leading e-commerce platforms (like Shopify, Volusion, and BigCommerce) offer a ready option to integrate Authorize.net as a payment gateway on your e-store. Apart from credit and debit card payments, you can also receive payments via electronic checks from bank accounts. It also allows payment by mobile, mail, or telephone. It has enhanced fraud prevention tools, transparent pricing and is easy to use. This platform is highly popular with online store owners due to its solid support, good security features, and easy integration. A leading retargeting platform, Adroll is a must for online store owners to capture the attention of customers who did not buy. This flexible platform helps you attract new prospects, convert prospects into customers, and maximize customer value. Its enhanced features help you to drive new potential customers to your website and maximize the value of your CRM data by targeting prospects. It re-targets high intent audiences (those who abandoned shopping carts or showed interest in a particular product) with relevant ads. Its SendRoll feature allows you to send triggered emails to your customers depending upon their browsing behavior. With more than 25,000 advertisers worldwide, AdRoll is the retargeting and prospecting platform of choice. It helps you reach your customers across any device or browser with conveniently placed ads whose performance you can monitor with an easy-to-use platform. Zendesk helps you maintain relationships with the most important people for your business; your customers. Its software helps businesses provide great customer experience and build meaningful customer relationships. More than 75,000 companies use the awesome features of Zendesk. The software provides you with a wide range of customer service tools for businesses of all sizes. It also scales up with you. Zendesk incorporates advanced machine learning into its self-service modules so that the most relevant help articles are presented to customers to resolve their issues and queries. With Zendesk Voice, you can provide customer service over the phone and Zopim Chat allows you to chat with your customers in real time. It also offers you insights into customer behavior to help them target better and build personal and productive relationships with them. Other smaller, but equally important tools include Survey Monkey, that helps you get feedback from your customers by creating surveys on your website, Pingdom, that helps you check the speed of your site to enhance the overall customer experience, and LastPass, that helps you secure all your passwords. An online store can earn meaningful revenue only if it is visible to customers and if it fulfills the shopping needs of customers. Running an online store can be a task, but if you make judicious use of tools like the ones mentioned above, you can streamline the entire process and run a successful e-store. Rachel Oliver is a passionate writer. She often shares her thoughts on business, technology, leadership, finance, fashion and more. Feel free to hit her up on Google+.